is Rockefeller medicine - all the way. Western medicine has some good points, for sure, and is great in an emergency, but it's high time people realized that today's mainstream medicine (western medicine or allopathy), with its focus on drugs, radiation and surgery, is at its foundation a Rockefeller creation. The Rockefellers, of course, are one of the most rich and powerful families of the elite black nobility. Behind their spurious facade of philanthropy, they are power-hungry tyrants intent on owning the entire world, and depopulating it through eugenics-based programs like forced sterilization, water fluoridation, abortions and vaccinations. ...and many, many other organizations that either rule the world or influence culture to a large extent. Despite the dominance of western medicine nowadays, even just 100 years ago the situation was very different, so it's worthwhile casting our minds back to how the we got to this place. How did western medicine and the giant conglomerate of multinational pharmaceutical corporations ("Big Pharma") become the mainstream medical system in the US and other first world nations? And what alternatives are there? Let's go back in time to the late 1800s. John D. Rockefeller, a man quoted to have said "competition is sin", is the head of the Rockefeller family and has just become very rich through extracting oil from the ground. 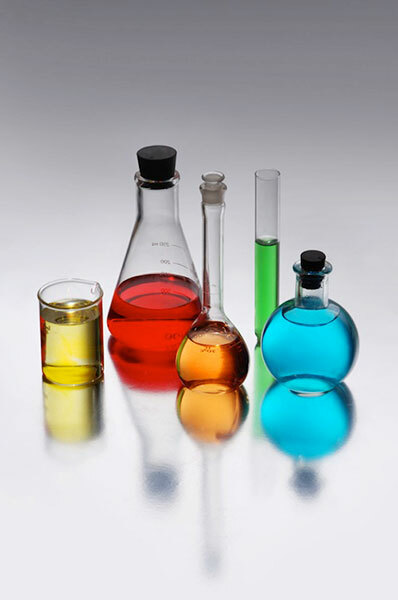 Now he is looking for ways to capitalize even further with his oil, and he comes across the idea of using coal tar - a petroleum derivative - to make substances that affect the human mind, body and nervous system. These are called drugs, and they are excellent at masking or stopping symptoms, but overall do not cure the underlying cause of a disease. Like other elite leaders of the New World Order who fit the description of an "evil genius" - those high on intellect and low on compassion - Rockefeller used his oil money to buy out part of the massive German pharmaceutical cartel, I.G. Farben. This was the very same cartel that would later assist Hitler to implement his eugenics-based vision of a New World Order founded on racial supremacy, by manufacturing chemicals and poisons for war. With the control of drug manufacturing under his wings, Rockefeller then embarked on a decidedly wicked plan - wicked from the point of view of a free and healthy humanity, but brilliant from a business perspective. which the body can never ultimately assimilate. to steal Nature's best compounds and patent them. 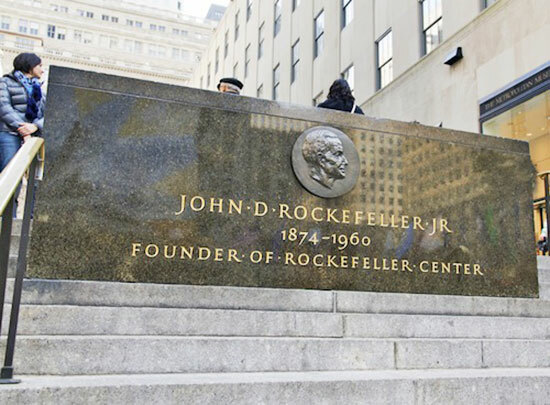 Rockefeller saw that there were many types of doctors and healing modalities in existence at that time, from chiropractic to naturopathy to homeopathy to holistic medicine to herbal medicine and more. He wanted to eliminate the competitors of western medicine (the only modality which would propose drugs and radiation as treatment, thus enriching Rockefeller who owned the means to produce these treatments), so he hired a man called Abraham Flexner to submit a report to Congress in 1910. This report "concluded" that there were too many doctors and medical schools in America, and that all the natural healing modalities which had existed for hundreds or thousands of years were unscientific quackery. It called for the standardization of medical education, whereby only the allopathic-based AMA be allowed to grant medical school licenses in the US. Sadly, Congress acted upon the conclusions and made them law. It should be noted that hemp was also demonized and criminalized not long after this, not because there is anything dangerous about it, but because it was a huge threat (as both medicine and fuel) to the Rockefeller drug and oil industries, respectively. Rockefeller and another elite leader Carnegie used their tax-exempt Foundations, from 1913 on, to offer huge grants to the best medical schools all over America - on the proviso that only an allopathic-based curriculum be taught, and that some of their agents be allowed to sit on the Board of Directors. They called this "efficient" philanthropy, which, when through the Orwellian translation unit, means they wanted a return on their investment. They systematically dismantled the curricula of these schools by removing any mention of the natural healing power of herbs and plants, or of the importance of diet to health. The result is a system which to this day churns out doctors who are, almost always, utterly clueless about nutrition and disregard the idea that what you eat can actually heal or hurt you. A couple of decades after this, another law was passed that further entrenched western medicine in America. The Hill-Burton Act of 1946 gave hospitals grants for construction and modernization, on the condition they provide free healthcare to anyone in need, without discrimination of any kind. Although there were good sides to this, the downside was that once people had become dependent on this system for their healthcare needs - especially those on pharmaceutical pills which need to be taken day after day without end - the system switched into a paid system, and the Rockefellers found themselves with new lifelong customers. The bitter truth is that, in general, when you go to your Western doctor, you are seen as a potential market for the medical factory's products. For Big Pharma, there is no financial incentive to heal you, because a patient cured is a customer lost. 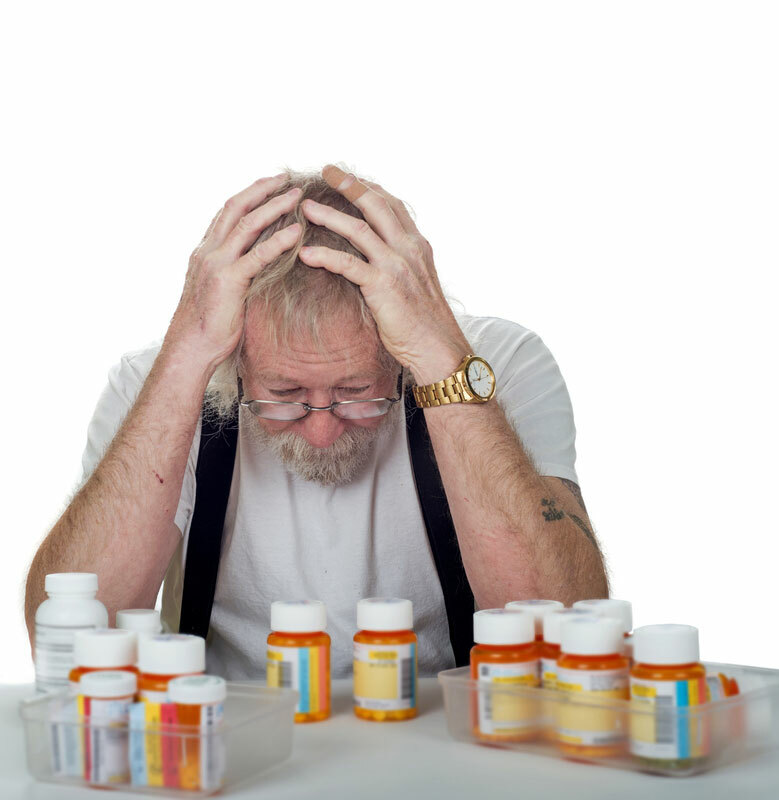 Even if you are not sick, Big Pharma is still targeting you, trying to convince you that you are ill (e.g. with psychiatry's ridiculous list of fictitious diseases - the specialty moneymaker of Psychiatry and Big Pharma - many of them fake) so that you will try its latest pill. Pregnant women who go to the doctor are treated like this, and peddled intravenous fluid bags, fetal monitors, ultrasound (radiation for a vulnerable baby), a host of drugs, the totally unnecessary episiotomy, and - to top it all off - the Caesarean delivery...! Remember, all these synthetic drugs are isolates. Many are derived from plant compounds, but because Nature cannot be patented and sold, Big Pharma has no interest in natural cures. What they do instead is engage in bio-piracy - research natural compounds, copy them (or modify them slightly) in a lab, then try to steal and patent them. If they get a patent, they then market their pill as a wonder drug while simultaneously (through fake scientific research) suppress and criticize the original plant as being worthless, so you won't go to the source of the cure. Ironically, guess what type of medicine John D. Rockefeller used and the British Royal Family still uses? Homeopathy...! "accomplishments last year: 2,980 open-heart operations, 1.3 million laboratory tests, 73,320 electrocardiograms, 7,770 full-body x-ray scans, 24,368 surgical procedures." Seems fancy, yet none of these procedures has been proven to have anything to do with maintaining or restoring health. When people get screened for a disease, they are being subjected to dangerous radiation (more money for the Rockefellers) which harms tissue and can end up causing the exact disease it is supposed to be protecting against - as happens daily with the mammogram scam, designed to drum up new breast cancer clients. The Rockefellers and other elites use 'philanthropy' as a tool for control. It's social engineering with a nice PR sheen. A free lunch is not really free, whether private (Rockefeller-style western medicine) or public/governmental (Obama-style socialized medicine), because even if you get something at no cost, you are required to give up your data and your privacy. Big Pharma and Western Medicine. They want you dependent on their system - then they'll raise the rates once you're trapped. This is big business - and it's also a big killer. Dr. Barbara Starfield published a study in the year 2000 that found that there were 225,000 iatrogenic (allopathic doctor caused) deaths in the US every year. However, this was only counting direct deaths; when you factor in all indirect deaths, as Dr. Gary Null did in 2011 in his report Death by Medicine, the figure is closer to 784,000 per year! That's 7.8 million people dead from western medicine every 10 years! "It is evident that the American medical system is the leading cause of death and injury in the United States…"
Whenever a lot of people die in a staged false flag attack (like 3000 people on 9/11) or in a staged mind control shooting (like 50 or so people) we hear all about it on the media. Yet between 616 and 2147 Americans are dying every day from Rockefeller Western medicine, and we don't hear a thing...! At this point let us turn from the problem to the solutions - and fortunately there are many. "Nature heals. The doctor's task consists in strengthening the natural healing powers, to direct them, and especially not to interfere with them." The immune system is your number one defense against any disease - not a vaccine. Most natural medicine is designed to treat the body holistically, not to "cure" one disease only to have it transform and mutate into another ailment. When you take plants and herbs as medicine, you normally take the whole food, not an isolate, because it is based on a holistic understanding. Likewise, Traditional Chinese Medicine defines all disease as stagnation and treats sickness as an imbalance to be brought back into balance. What is the point of transferring an imbalance in one area into an imbalance in another area? None, unless you are trying to profit off disease like Big Pharma. It is not real healing. There are so many natural cures and remedies out there, if you take the time to look. Two examples among thousands are turmeric which will do more for your blood pressure and diabetes than any drug can, and apricot kernels (rich in laetrile which selectively kills cancer cells and leaves healthy ones intact) which will handle cancer better than chemotherapy. "there's nothing more we can do for you." Western medicine has its time and place, and its strengths and weaknesses. Western medicine may be a good system in a critical emergency and for complicated surgical procedures, but for general conditions, there are so many better alternatives. Time to start exploring them...!